This is an accessible introduction to the most fully developed functional approach to grammar currently available. 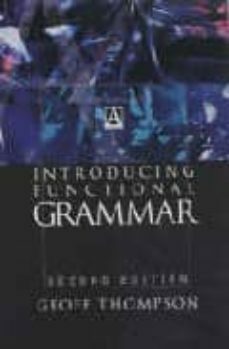 Now in its second edition, it is closely based on Michael Halliday's AN INTRODUCTION TO FUNCTIONAL GRAMMAR: Third Edition. It can be used either as a comprehensive course book in its own right or as a means of preparing students for the more theoretical treatment of grammar as presented in Halliday's book.